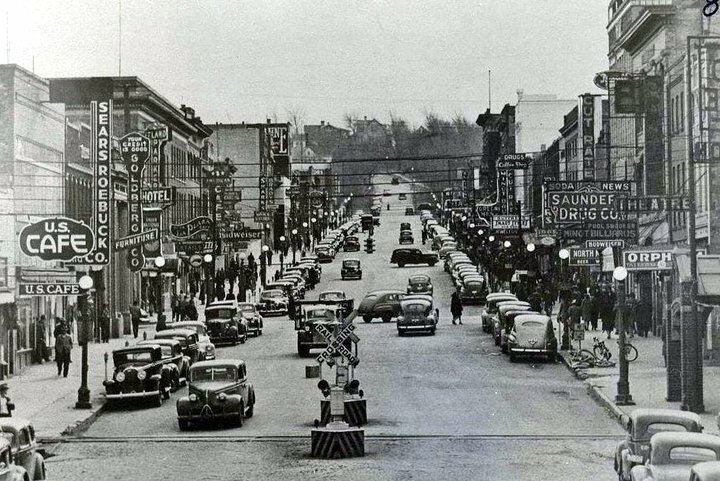 Grand Ole Opry – On Wednesday, March 25, 1959 the Grand Ole Opry made an appearance in Minot at the Municipal Auditorium. They put on one show. 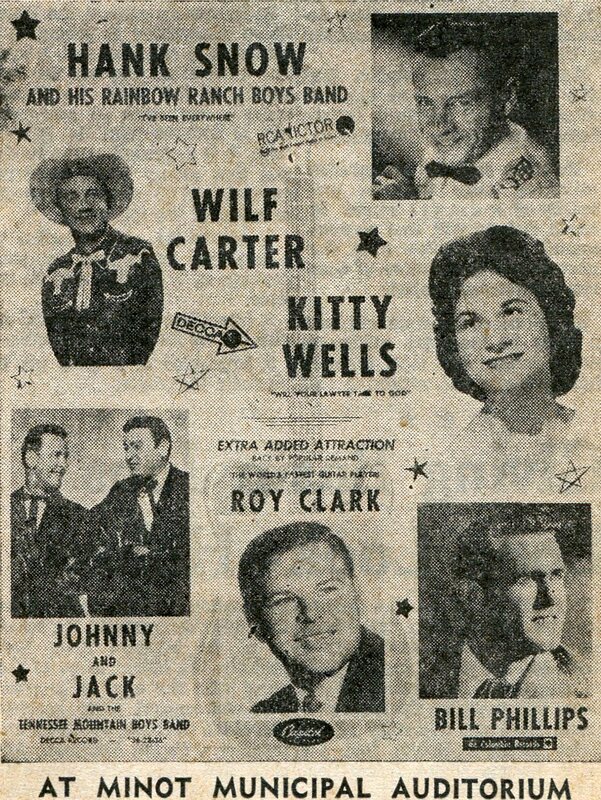 The headliners included Minnie Pearl, Bobby Helms, Jean Shepard, Hankshaw Hawkins and Red Sovine. 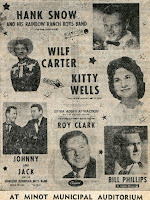 Red Sovine performed his hit “Why Baby, Why.” There was also an extra attraction with the Echo Valley Boys. Admission for adults was $1.25 in advance or $1.50 at the door. Children were admitted of 35 cents.